Starting with PMM 1.13, PMM uses Prometheus 2 for metrics storage, which tends to be heaviest resource consumer of CPU and RAM. 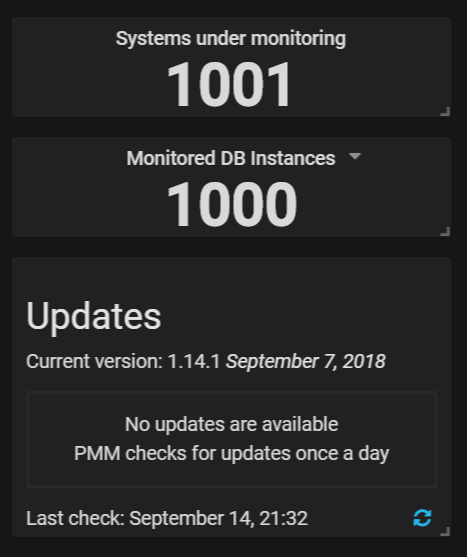 With Prometheus 2 Performance Improvements, PMM can scale to more than 1000 monitored nodes per instance in default configuration. In this blog post we will look into PMM scaling and capacity planning—how to estimate the resources required, and what drives resource consumption. We have now tested PMM with up to 1000 nodes, using a virtualized system with 128GB of memory, 24 virtual cores, and SSD storage. We found PMM scales pretty linearly with the available memory and CPU cores, and we believe that a higher number of nodes could be supported with more powerful hardware. What drives resource usage in PMM ? Workload – a large number of database objects and high concurrency will increase both the number of samples ingested and their cardinality. All these factors together may impact resource requirements by a factor of ten or more, so do your own testing to be sure. However, the numbers in this article should serve as good general guidance as a start point for your research. As you can see, we have more than 2.000 scrapes/sec performed, providing almost two million samples/sec, and more than eight million active time series. These are the main numbers that define the load placed on Prometheus. Both CPU and memory are very important resources for PMM capacity planning. Memory is the more important as Prometheus 2 does not have good options for limiting memory consumption. If you do not have enough memory to handle your workload, then it will run out of memory and crash. We recommend at least 2GB of memory for a production PMM Installation. A test installation with 1GB of memory is possible. However, it may not be able to monitor more than one or two nodes without running out of memory. With 2GB of memory you should be able to monitor at least five nodes without problem. With powerful systems (8GB of more) you can have approximately eight systems per 1GB of memory, or about 15,000 samples ingested/sec per 1GB of memory. To calculate the CPU usage resources required, allow for about 50 monitored systems per core (or 100K metrics/sec per CPU core). 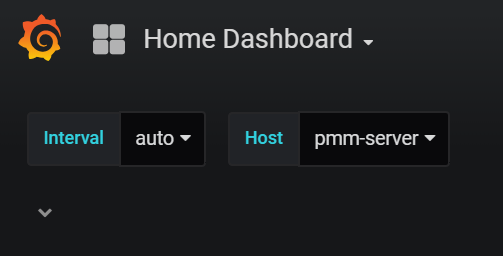 You can select the host, for example “pmm-server” in your home dashboard and save it, before adding a large amount of hosts to the system. Or you can make some other dashboard of your choice and set it as the home dashboard. You’ve tested monitoring a mix of Percona Server, RDS, XtraDB Cluster, etc or this tests was based just with a kind of database instance ? Thank you for your feedback. At this point you can use Grafana Alerting with PMM which I admit is pretty basic. In the future versions we plan to simplify integration with Prometheus Alertmanager for more advanced Alerting functionality. I’m very impressed with this article it’s very helpful! Thank you, Peter.